It is time to enter one of the brightest, most colourful, and fun games of today – Mandarin Orchid. This is a game set in the Japanese scenary with everything you can think of joining it. Everything from the backdrops to the symbols and designs of it all, are made to suit the theme inspired by Japan and its beauty. 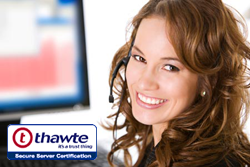 You are surely in for a gaming experience like no other. We proudly present; Mandarin Orchid, a game brought to you by Core Gaming! Now, we will find out everything there is to know about Mandarin Orchid! The moment you step into the world of Mandarin Orchid, you are struck by the beauty and coolness of it all. The symbols and animations are all very well-made, with beauty mixed with an edgy stile. The normal symbols take you right to Japan and its temples, geishas, and symbolic items, while the lower valued symbols then take on an edgier look with graffiti-styled letters. It is very easy to love this game – and we are about to reveal just why you will too! The symbols you can come across on the reels while in gameplay are as mentioned above a grand mix of everything you can see in Japan, as well as more edgy designs. The lower valued symbols are just that, the classic card deck symbols represent them all, ranging from 10 to Ace. These are as said, made in graffiti-looking designs and they are all worth between 6 and 8 when you land five of a kind. The higher valued symbols are then the ones that takes you to the beauty of Japan, with the paragraph of paper, the Japanese hand-fan, the lantern, and the beautiful Geisha. These are worth between 12 and a staggering 50 when landing five of a kind, with this lovely geisha as the top player. Above all basic symbols, you also have a few extra special and rewarding ones in the game. The Wild Symbol is of the Japanese temple and the small, pink orchids are the Bonus Symbols – and these can both grant you high wins and a thrilling Feature. Ones that we will reveal all about shortly. As you enter the world of Japan and Mandarin Orchid, you will suddenly feel the urge of living, breathing, and seeing this view of stunning artefacts, beautiful flowers, geishas, and a backdrop subtly displaying a lake and a temple in the back. The entity of the game is very alluring – meaning the backdrops, the symbols, the animations, and the graphics it is all made in. You can see clear details taking you to Japan, and it has been very well executed by Core Gaming. The game takes on a sweet fell at first glance, with the pink orchids taking over the screens, and the soft colour-scheme. But then you see the card deck symbols and the small details that one might not notice at first – ones that gives the game a brand-new touch of edginess and sends off a cool and strong vibe. You will surely enjoy this game with all wonderful attributes it offers one. 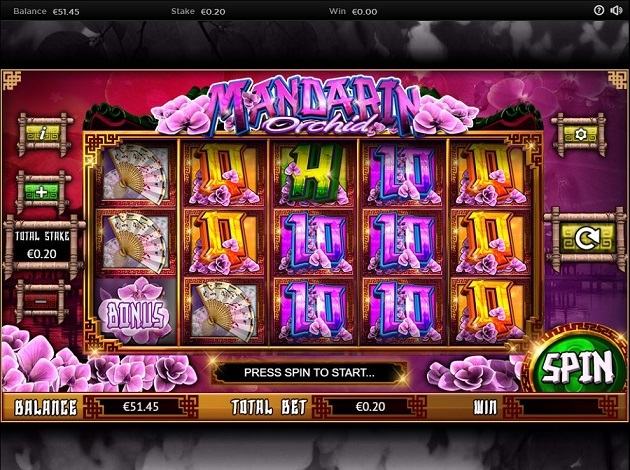 Mandarin Orchid is a Video Slot offering 5 reels on 3 rows, with additional 20 paylines to play with. Mandarin Orchid is a game offering you both Wilds and Free Spins, but a Bonus Game is not one of these features. If you do, however, enjoy the Japanese theme with an additional Bonus, then you should check out Koi Princess from NetEnt. A stunning game offering you geishas, cherry blossoms, and a Bonus that will stun you. When the Bonus Symbol appears on the reels of the game, the Free Spins are triggered. These Bonus Symbols can appear on all five reels and with this comes progressive Multipliers that keeps increasing with each spin. When the Free Spins are triggered, you get three options to choose from. These three options are displayed as the orchids, with a pink one, a green one, and a blue one. Your goal here is to choose one, and behind them is your number of won Free Spins. They contain either 3, 4, or 5 spins. The Wild Symbol of Mandarin Orchid Video Slot is the symbol displaying the stunning temple, and this is one that can step in to substitute for other symbols to then grant you more wins. The wins are made up by at least two Wilds and these will then Multiply the original win value. We hope that you are ready for this stunning adventure that takes you on a trip to Japan and all its glory. We had a blast trying this game out, and we are sure that you will too!